Sometimes people are injured through no fault of their own. In some of those cases, the injuries are caused by the negligence of another person or company. If you’re suffering with a personal injury, you may believe that your insurance premiums will cover your expenses — but that isn’t always the case. At Phillips Law Offices in Chicago, our accident attorneys work tirelessly to help you recover the full value you deserve for your damages. Our Illinois accident law firm has more than 65 years of experience obtaining compensation for clients. Hiring a skilled Chicago accident lawyer can help more than you might expect. Handling the details: The legal process can be tedious, filled with specific procedures that must be followed exactly lest your case be denied even before it’s fully presented. Our Chicago personal injury lawyers work with your doctors and your insurance company to develop a foundation for a strong case. Conducting an investigation: Aside from reviewing your claim, medical records and the police report (if one was filed), we also conduct our own thorough investigations. In cases of automobile accidents, we rely on the experience of our automobile accidents lawyers to help us build your case. Using previous experiences: At Phillips Law Offices, our attorneys have a success rate of nearly 100 percent on the cases we accept. We can use our previous knowledge of the laws that affected our successful cases to avoid needless repetition or research. Providing resources: Building a persuasive case often takes more than just the testimony of the people involved. We call on expert witnesses who can testify to medical facts, accurately reconstruct accidents and calculate true financial losses attributable to the accident. Knowing when to settle: An old song once celebrated the importance of knowing when to hold ‘em, knowing when to fold ‘em. At Phillips Law Offices we work with our clients to avoid litigation when necessary, in cases where the negligent party offers a fair and reasonable amount in damages outside of court. 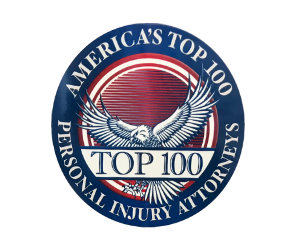 Most personal injury cases are settled outside of court. There is a lot to consider when you are injured, and it can be tempting to settle when an offer is put before you, even if you do not think the amount is sufficient. Our Illinois personal injury law firm can determine what is a fair and reasonable amount, and when to accept an offered settlement. From offices in Chicago, the accident attorneys in Illinois of Phillips Law Offices offer quality and comprehensive legal services to the injured and their families throughout the state. Call (312) 346-4262 or contact us online today for a free consultation with one of our attorneys about your case.